1. José María Vicente. 2. The view from Casa Castillo. 3. Ungrafted vine. 4. Soils. 5. Traditional winemaking. 6. 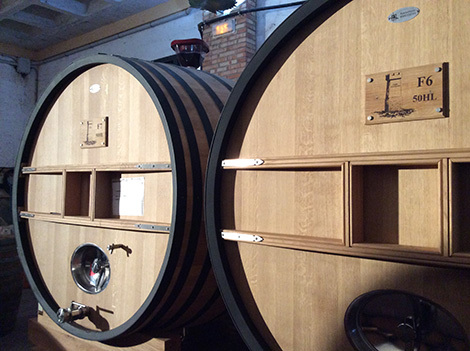 Foudres. 7. The new Vino de Finca. Photo credits: Amaya Cervera. 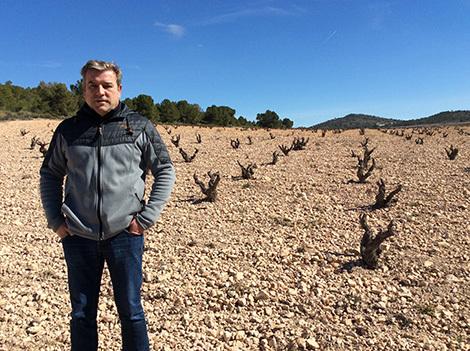 “Mediterranean areas have been neglected in Spain”, says José María Vicente, the owner and driving force behind Casa Castillo in Jumilla (Murcia) and a flagship producer in southeast Spain. “Spanish wine is riding high right now. We have witnessed a boom in continental regions followed by the current upsurge of Atlantic areas, but the Mediterranean is stuck. We really need more people making interesting wines here. A bunch of us is not enough to make a name for the area”, he reckons. Vicente didn’t have a formal training in winemaking, but he has good judgment. He is also a great wine lover, with over 1,000 bottles stored in his personal cellar. I really enjoyed discussing producers, vintages and various styles of wines with him during my visit. Relying exclusively on its own grapes, Casa Castillo treads a solitary path. Its wines are often better understood abroad than at home. In the early 2000s and during the recent financial downturn, around 85% to 90% of Casa Castillo’s wine was exported; that figure has now leveled with 60% of the wines sold abroad versus 40% in Spain. Located 12 kilometres west of Jumilla, the estate goes unnoticed for anyone driving along the road to Hellín, in the province of Albacete (Castilla La Mancha), were it not for an old wooden vat on the side of the road. A dirt road framed by pine trees leads to a modest set of buildings, a world away from many of those state-of-the-art wineries found across Spain. Casa Castillo’s most precious asset is perched on a hill: an eight-hectare ungrafted plot facing south planted in 1942 by José María’s grandfather. 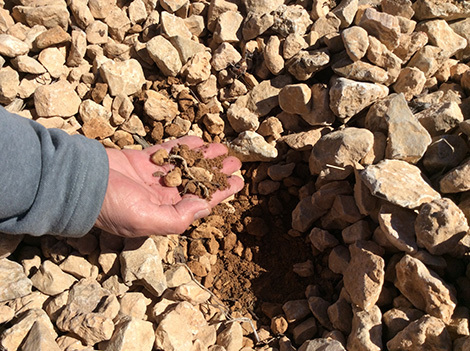 “Until the 1960s, grafting was unusual in sandy soils like these”, explains Vicente. This is the oldest vineyard in the estate and its grapes are used to make Pie Franco, a singular 100% Monastrell that combines old-vine concentration, velvety texture and smooth tannins. This truly great wine has put Casa Castillo on the map of Spain’s fine wines. Grandfather José Sánchez-Cerezo bought the property in 1941 soon after the Spanish Civil War ended. He traded with esparto grass, wood and aromatic herbs, but the esparto industry succumbed to plastic so he decided to grow grapes. José María’s father took over in the mid 1970s and he expanded the estate with new plantings. Grapes were usually sold to local wineries until the 1980s downturn, when they decided to produce their own wine. An attorney by trade, Nemesio Vicente was a wine enthusiast. His son recalls enjoying great classic Riojas at home as well as the first Ribera del Duero wines in the late 1980s and early 1990s. Following the quality models of that time, Tempranillo and Cabernet Sauvignon were understandably grown in the property. It would still take them some years to explore the true identity of the region. 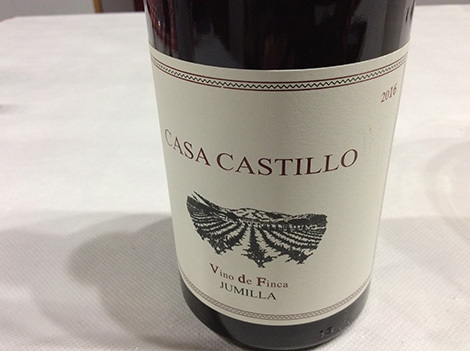 “The first turning point to make real jumilla reds in Jumilla was the 1996 Casa Castillo Vendimia”, points out José María Vicente, who joined the business in 1994. Two years later, in 1998, the single-vineyard reds Las Gravas and Pie Franco were produced for the first time. Pie Franco may be Casa Castillo’s purest wine, but Las Gravas summarises the grape growing story of the past two decades. Originally released as a blend of Monastrell and Cabernet Sauvignon, Syrah was introduced in the 2001 vintage. The blend changed again in 2008 when Cabernet was replaced by Garnacha. The final change came in 2016, when Syrah stopped being part of this wine. The definitive blend, set to be released in September this year, includes Monastrell and Garnacha, the two grape varieties that have adapted well to the area. With 150 out of 170Ha of vines in full production, the change in varieties is almost complete after replanting 40Ha that were formerly planted to Tempranillo, 12 to Cabernet and some Macabeo. 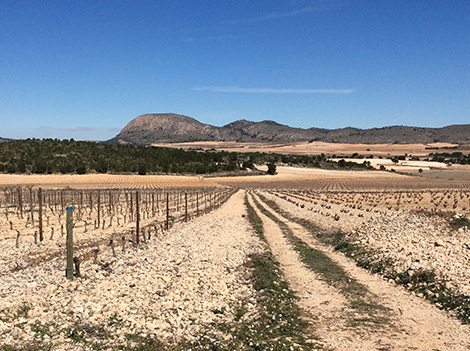 Monastrell now occupies 80% of the total surface under vine, while 12% is Garnacha (around 40,000 bottles are produced of the single-varietal El Molar) and 8% is Syrah. The range of wines has been reorganized accordingly. Grapes for the top reds are sourced from hillside areas with stony soils. Pie Franco comes from a south facing slope, whereas Las Gravas comes from a 27Ha vineyard facing north. For the first time in 2015, grapes from the highest part of Las Gravas were fermented separately to make Nemesio, a tribute to José María Vicente’s father who sadly passed away without trying this new wine. Due to be released in September, Nemesio will only be produced in outstanding vintages -2017 is likely to be one. 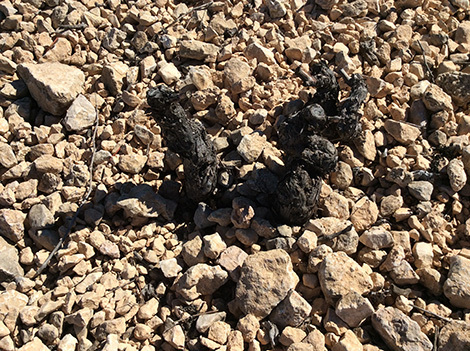 Syrah is now confined to Valtosca, a single-varietal red named after the coarse limestone soils found in the transition area between Las Gravas and the valley. Lastly, the valley grapes that used to go to the fruit-driven, entry level Casa Castillo Monastrell, have been reclassified and now also produce Casa Castillo Vino de Finca, whose grapes come from the oldest vines (+30 years old). Part of the beauty of the scenery surrounding Casa Castillo lies in its austerity: a combination of hard-to-work stony soils and the determination to preserve dry farming. With less than 300mm of rainfall per year, average yields are barely enough to fill 2,000 bottles per hectare, which is ridiculous by today's standards. The only viable alternative in this context is to produce wines with considerable added value. In 1996, they did a massal selection of the Pie Franco vineyard. The first cuttings were planted in a one-hectare plot followed by a second selection planted on five hectares of land which serves as Casa Castillo’s plant nursery. Their selection criteria were: free-standing upright bush vines, low yields, loose bunches and relatively large grains in order to have a high proportion of must in relation to the skins. Concentration is not a priority in a region where it occurs naturally. Quite the contrary, the aim is to craft fluid, easy to drink reds. This involves techniques that are traditional in the south like whole-bunch fermentation -40 to 60% of the grapes, depending on vintage variations. Since the mid-2000 macerations are carried out at higher temperatures than in the past and have been shortened to seven to 10 days for all grape varieties. 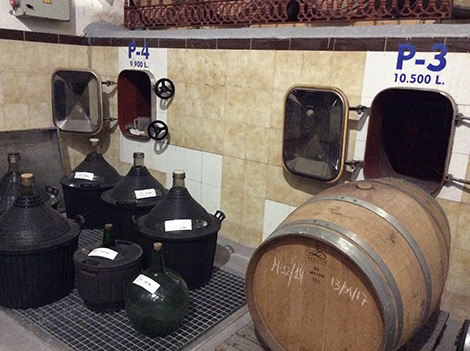 These days, pressing before the end of fermentation is a standard practice at Casa Castillo. Facilities are simple and low-tech. Except for the basic Monastrell, destemmed and fermented in stainless steel tanks, grapes are put in epoxy-coated stone tanks with 8,000 to 10,000 litre capacity. “Grapes are not treaded”, explains José María Vicente. “Instead, we do a semi-carbonic maceration with whole bunches plunged in the must. We are not interested in what stems can add, but rather in the intracellular fermentation taking place inside the grapes. In fact, we need to be careful with Monastrell stems because they are quite tannic”, he points out. Just like other Mediterranean grapes, rustic Monastrell needs time to show its true colours, argues Vicente. “I don’t intend to make wines suitable for ageing but I want to show the extra value of our reds.” The 2008 Pie Franco is Vicente’s current drinking choice, but some Spanish restaurants like Michelin-starred Quique Dacosta and L’Escaleta in the southeast or Rekondo and Mina in the Basque Country list verticals of this wine. In its quest to add an extra dimension to its wines, Casa Castillo seems to be on a different playing field.